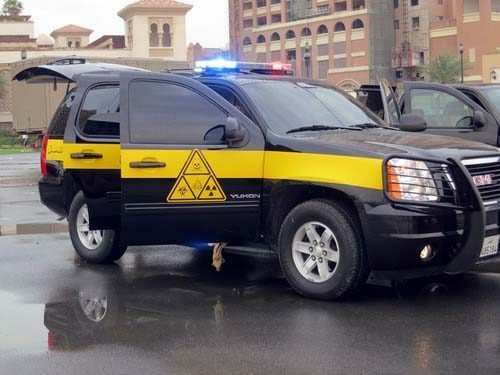 Qatar’s Armed Forces, in conjunction with US military officials, are running a chemical-related disaster scenario at the Pearl-Qatar this morning. 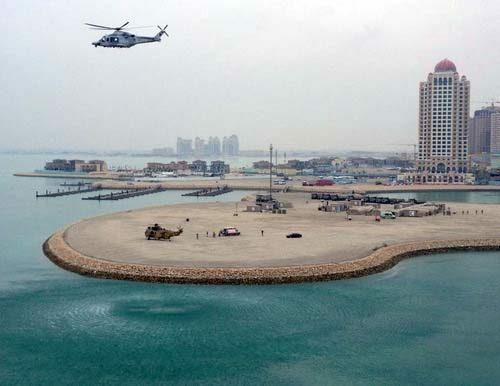 The emergency preparedness exercise, which involves police, Civil Defense, medical personnel and others, is part of a series of training sessions the groups are holding this week, an American participant has told Doha News. However, the sites of future simulated disasters have not been disclosed in advance, as those participating in the training must respond to each emergency as if it were a real one. 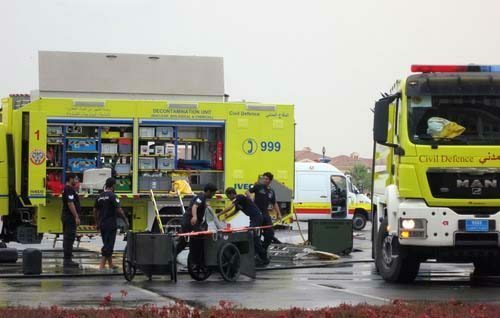 Qatar has been shoring up its emergency preparedness is recent months, holding fire drills and practicing evacuations of malls and other buildings. Civil Defence is holding a mock drill at Qatar Insurance Tower (headquarters), in Dafna starting @ 9.30 am. Did you see the disaster preparedness at the Pearl? City Center Mall evacuated staff and shoppers this morning for an emergency fire drill the day before Eid holidays begin. Shoppers said the fire alarm went off around 10:30am this morning, starting in Carrefour and then continuing to the rest of the mall. Shops were closed, and customers and mall staff alike were evacuated, although not everyone understood it was just a training exercise. The mall was reopened – and everyone allowed back in – in just over a half hour.